Для входа в личный кабинет пройдите по ссылке, которую мы отправили на allala. You have Cookie disabled in your browser. Displaying the site will be incorrect! As a result of improved network optimization of our PoP in Paris, G‑Core Labs managed to reduce the response time from 49 to 41 ms. In terms of speed, G-CDN delivers content faster than the other CDN providers operating in France. Our PoP in Paris is G-Core’s 10th location for our expansive content delivery network in Europe. 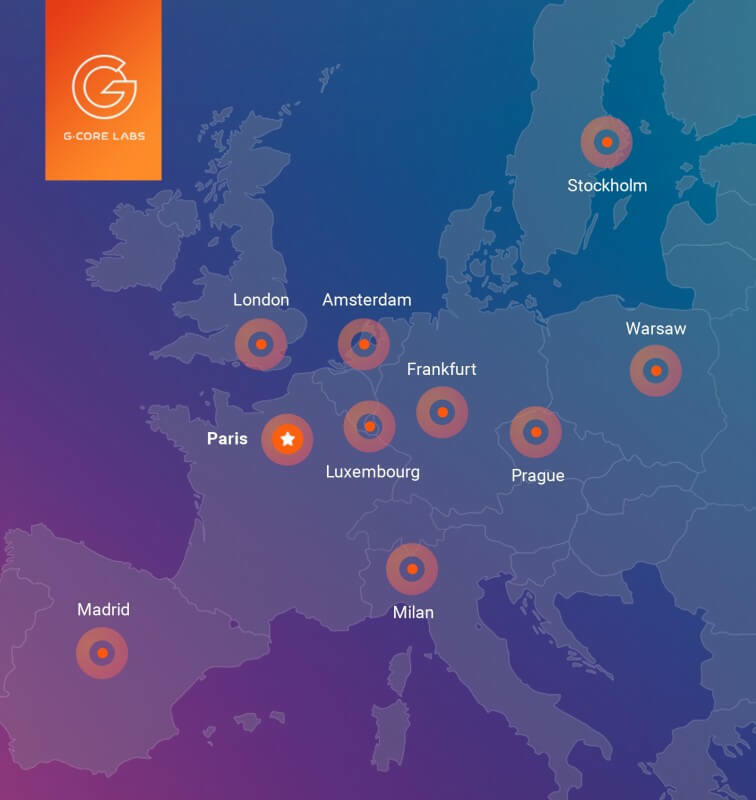 G‑Core Labs’ cache servers are also located across Europe in Amsterdam, Frankfurt, London, Luxembourg, Madrid, Milan, Prague, Stockholm and Warsaw. Learn more about G-CDN performance successes in other European regions, like Scandinavia and the Baltics, or in the Czech Republic and Austria. 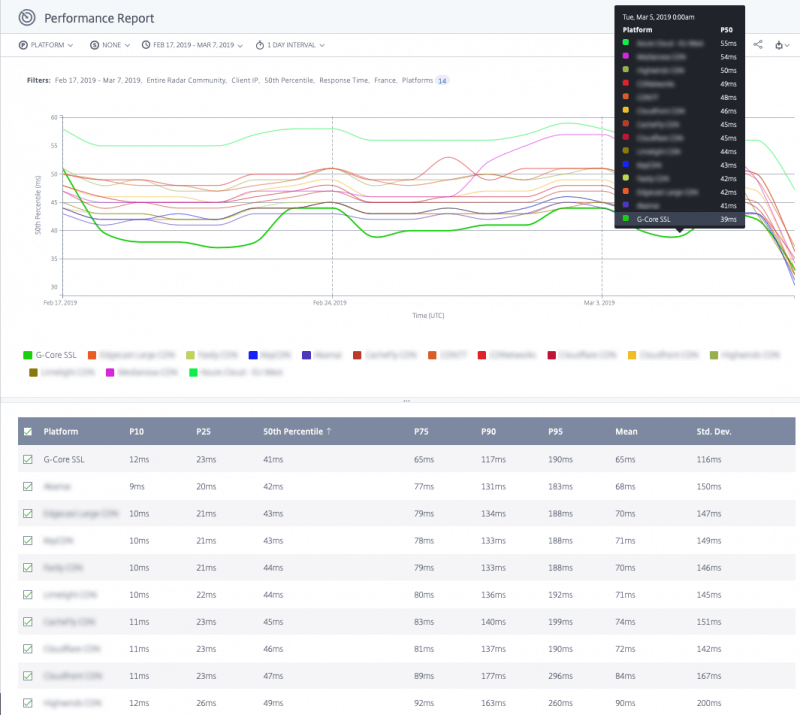 We were able to achieve better performance in each of these PoPs, thanks to a well-designed network architecture and choosing the best data centers and peering partners. 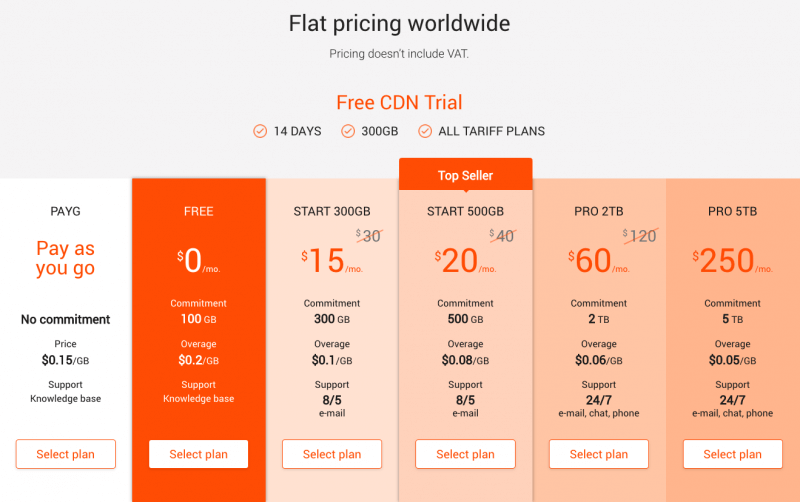 We have updated our tariff plans and launched a new campaign. Use 100 GB per month completely free of charge with our FREE plan. Until March 31, 2019 a special offer is valid for three essential plans with up to 500 GB. Sign up for the ultra-fast content delivery in France and the rest of the world for free or at half price right now. Favorable offers and important news every month. No spam.